Born in 1965 to a Swiss lifeguard and the German Hausfrau Ute Würfel, Fred Otto left his hometown of Itzehoe at the early age of 17. With nothing to his name but his father’s collection of felt-markers and his own meagre savings, Fred made for West Berlin, where he formed the dilettante post-punk band Die Hackepeter. Stephanie Franziska was born in 1966 as the third daughter of travelling choirmaster Ingo Scholz. During a choir-trip to West Berlin in 1982, Stephanie escaped from her father’s dormitory and sneaked into the legendary disco temple Urwald where she had a sweet encounter with the bassoon player from Talking Heads. It was here that Fred’s and Stephanie’s paths crossed for the first time when they bumped into each other at the bar. Two years later, Stephanie graduated from the renowned Fachoberschule für Gebrauchsgrafik Neu-Ulm with distinction. Following her heart, she moved to Berlin only to learn that there was no bassoon player in Talking Heads. Lost and heartbroken, Stephanie accidentally stumbled across an equally depressed Fred who was aimlessly wandering the streets looking for a new direction in life after the dissolution of his band. artwork, posters, flyers and album covers for artists and musicians, among them the Schritt-kunst collective The Teabaggers and the hypodermic sound aficionado Kurt Ernst. Perhaps their most iconic work is their collaboration with the all-female krautrock band Mulde, whose unlikely success is inextricably linked to that of Studio Spektral. With Mulde’s third full length album, Mulde muss weg!, Studio Spektral truly came into their own. 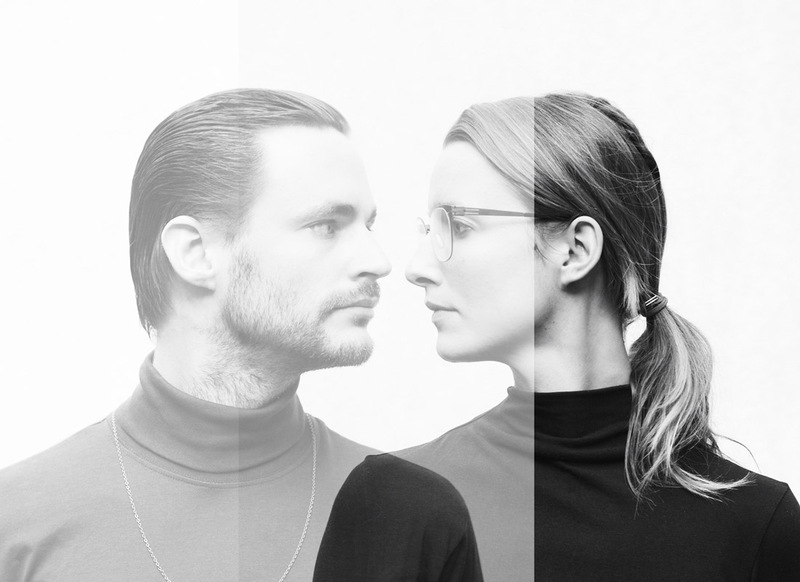 They discovered a collage technique which perfectly mirrored the band’s rough sounds as well as the politically torn atmosphere on Berlin’s streets. Released in 1988, Mulde muss weg! was widely regarded as the band’s and the studio’s finest hour, not least because it accidentally predicted the fall of the Berlin Wall a year later. 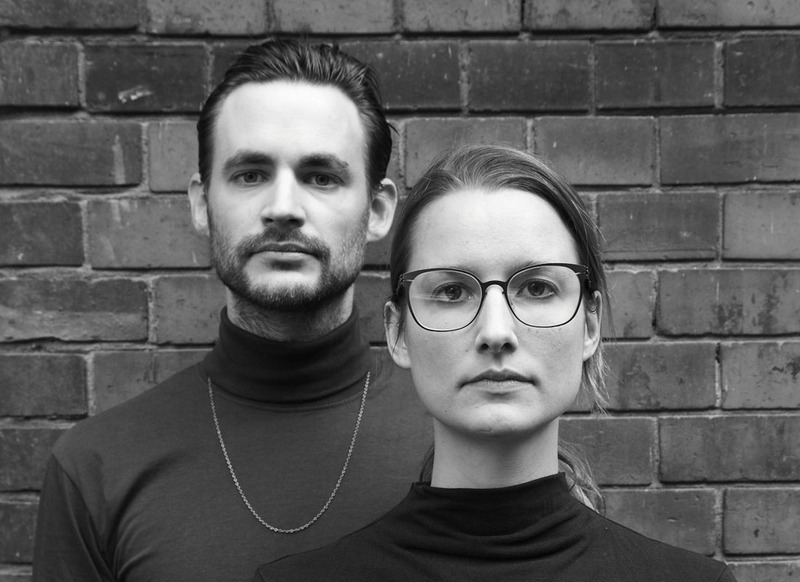 In 1991 Cutting Edges Magazine proclaimed Stephanie and Fred “the new faces of post-draw Germany”, but by now the first cracks in the collaboration had started to show. Mulde and Studio Spektral parted ways, leaving their ambitious plans for a concept album about different sorts of pencil lead unfinished. Worse still, the Mmw! sessions had left Stephanie and Fred mentally exhausted and their working relationship deteriorated rapidly. A nadir was reached when Fred called Stephanie “annoying” (“du nervst”). Following a string of nervous breakdowns, all of which she chose to ignore, Stephanie checked into a silent convent in the Uckermark where she discovered her own inner highness, became a yoga teacher and excelled at her Kriyas. Stephanie was dismissed early with an extra special degree that says she was better than anyone else ever before or after. Fred meanwhile embarked on an infamous 18-month long “lost weekend” at his parent’s basement in Itzehoe. He tried to grow a beard and exorcised all bad habits, including his legendary inability to hold a drink. Fred started therapy to work through trauma, addiction and advanced stages of burn-out syndrome. His parents suggested that he should move out and Fred returned to the reunified German capital. It was not until 1994, however, that fate brought the duo back together. Stephanie, now a shamanic priestess and stage three Sufi, tracked down Fred in an attempt to repair their relationship. He apologised for calling her annoying, and Stephanie and Fred picked up their pencils once again. Studio Spektral was back in business. The following years would bring unprecedented commercial success. Studio Spektral provided illustrations for a host of artists, among them the multi-platinum euro-dance act DJ Katzendreck, the pop trio LEFT and gabba-trance pioneers Connecters. 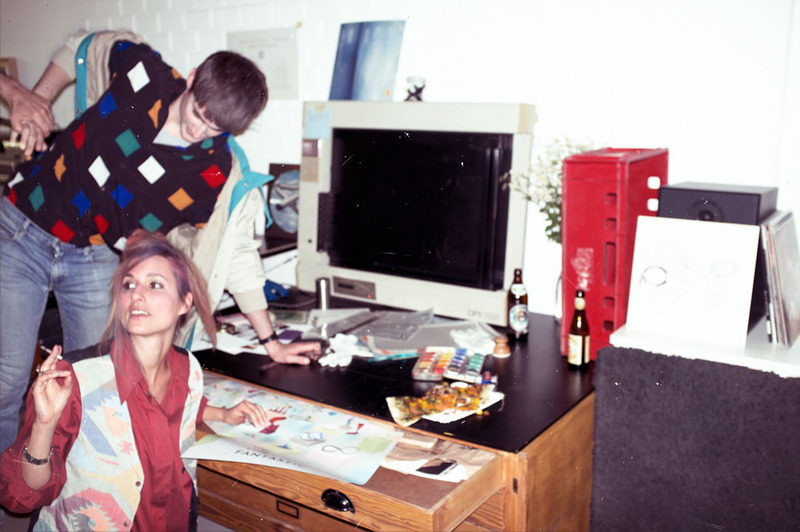 Today Studio Spektral employs two interns, Sven and Jenna, who take care of all the tedious Photoshop stuff. Even if they have lost some of their early edge, they have gained in happiness instead. They are so much more relaxed these days, especially Stephanie, who is actually not annoying at all.